Reflection of the Three Sisters with low tide, at sunset. Tongaporutu, New Plymouth district. 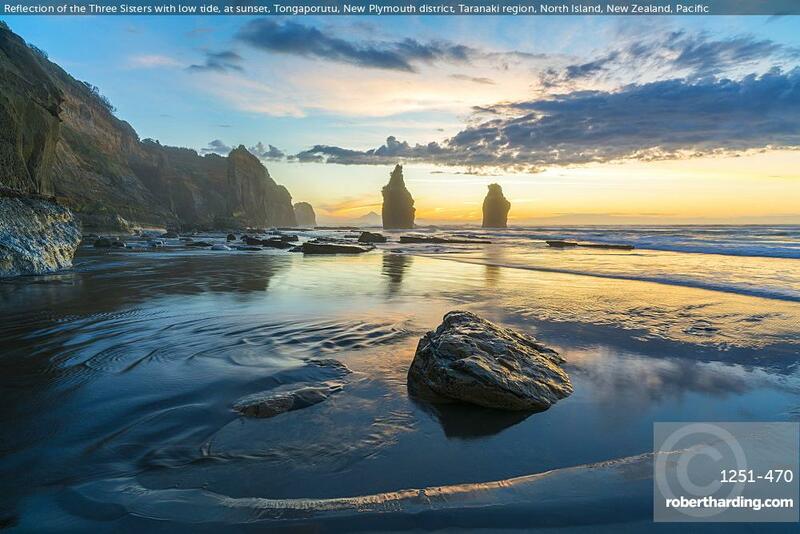 Taranaki region, North Island, New Zealand.